Frag Fest 1.8 is a mod that takes care of adding different kinds of grenades game, eight at the moment and RPG rocket launchers, with which we can launch a particular type of Granada. 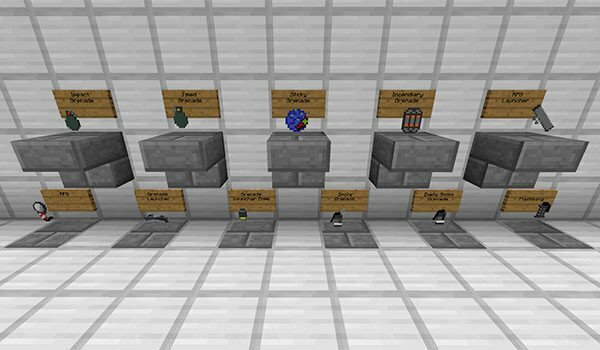 Among all these new grenades we find normal grenades, grenades designed for trolling your friends in a Minecraft server, timed grenades, sticky grenades adhere to any lenses, smoke grenades and incendiary grenades, among other classes. How to install Frag Fest Mod for Minecraft 1.8? Eight kinds of grenades and an RPG rocket launcher!